The Battle of Wagram took place on July 5 and 6th, 1809, near what is today the Austrian town of Deutsch-Wagram. In the clash between the forces of Napoleon’s French Empire and the Austrian Empire, an estimated 55,000 soldiers died, one of whom was the Baron Jean-Baptiste Deban de Laborde, the French Hussar whose sons would later be so memorably depicted in miniature version of his uniforms. The general area of the battlefield was know but its precise location was not and no archaeological explorations were done until circumstances — ie, the construction of a new highway from Vienna to Slovakia — forced a survey in accordance with cultural heritage laws. Archaeologists with the firm Novetus were contracted to excavate the route of the highway that goes through Deutsch-Wagram. 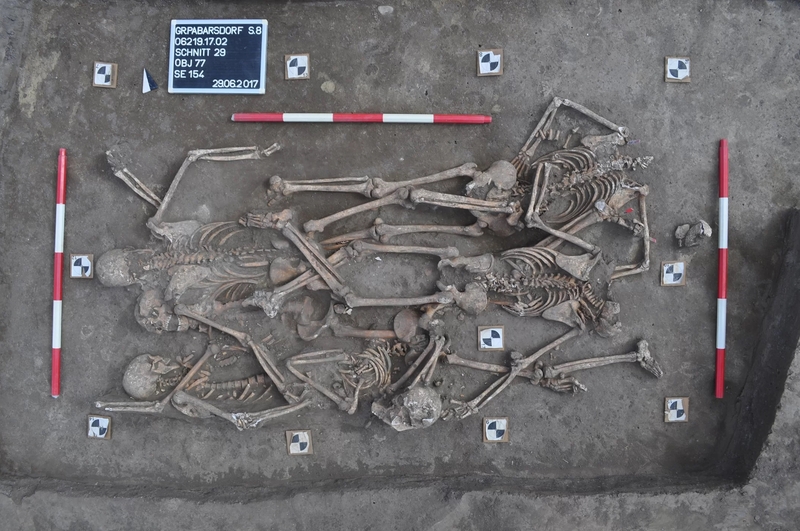 Excavations began in March of 2017 and it’s such a complicated project covering such an emormous territory — one site out of many is the size of 27 football fields — that it’s expected to continue until at least the end of 2018. 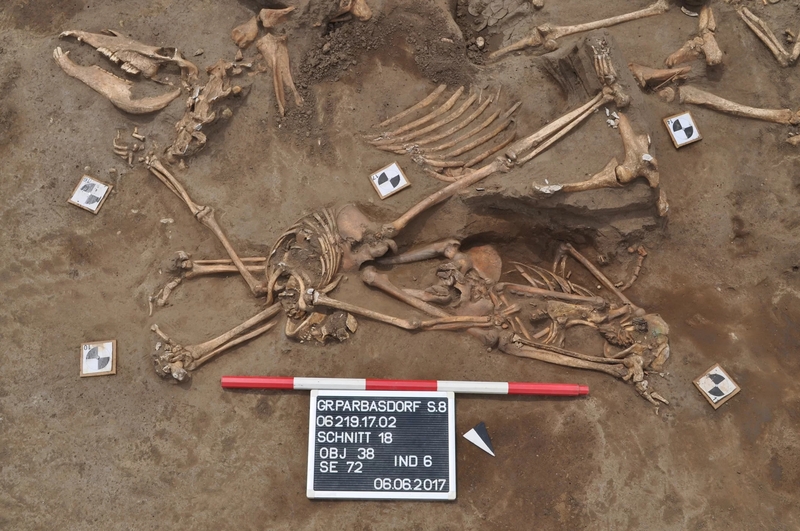 They have definitely found the battlefield, first and foremost, and several mass graves where the dead were buried where they fell. 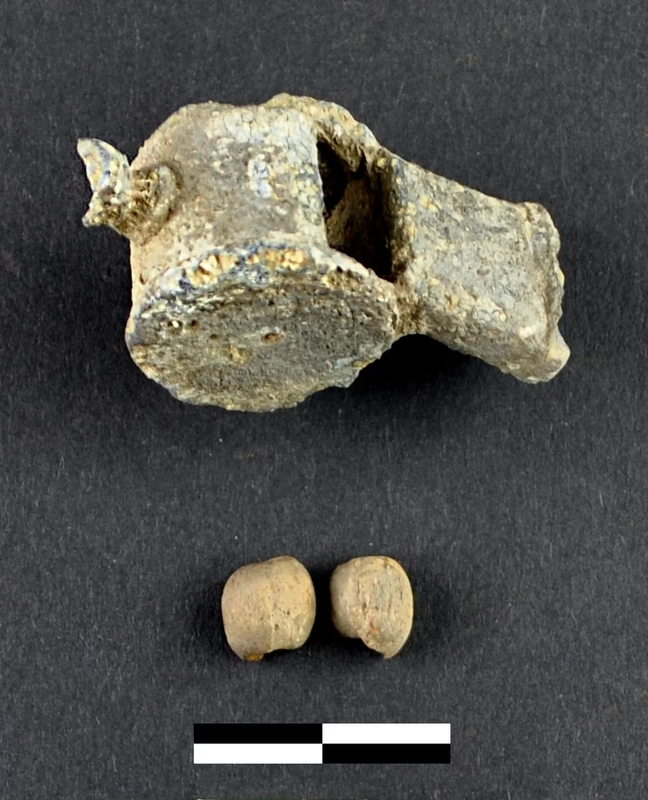 They have also unearthed a wealth of artifacts, including a soldier’s whistle, metal uniform fittings like buckles and buttons, small glass vials that may have contained medicines and scads of ammunition. Of the 50 skeletons excavated so far, most of the individuals are young men between about 16 and 30 years old, and Binder said their bones bear traces of scurvy from vitamin C deficiency, inflammation of the joints from long marches carrying heavy loads, and infections like pneumonia and other diseases that would have spread in the cramped conditions of the military camp. The battlefield of the Battle of Aspern-Essling which took place only six weeks before Wagram was excavated earlier and a comparison between the conditions of the bodies unearthed at the sites shows a marked increase in respiratory diseases in the month and a half between the battles. Napoleon’s forces were defeated by Archduke Charles of Austria’s at Aspern-Essling, the first time he’d lost a battle in a decade, but he was able to retreat without crippling losses (both sides has the same casualty count of around 23,000; 7,000 French troops killed in action, 6,300 Austrian) and regroup to win the day at Wagram. 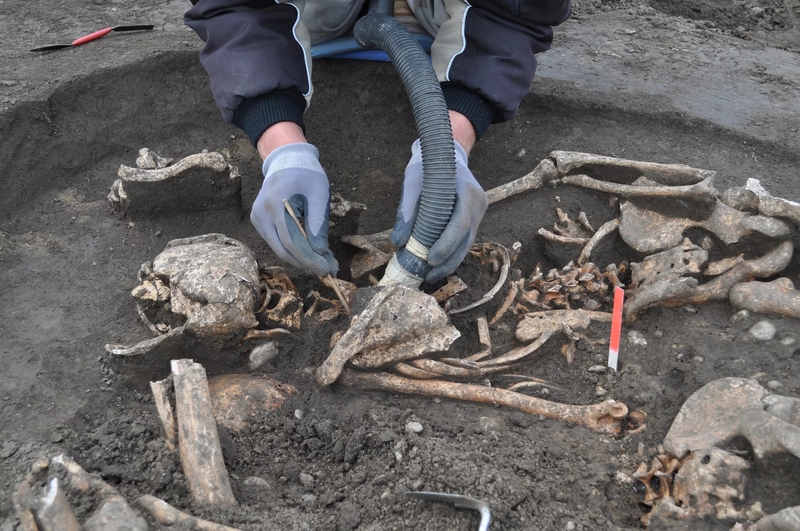 The study of the remains shows the real toll taken on soldiers’ bodies by the constant campaigns, win or lose.